A Meditation on the Sacred Passion of the Holy Redeemer, for Tenor and Bass solo, SATB Choir with Organ accompaniment, with hymns for congregational participation. The text was selected and written by Reverend J. Sparrow-Simpson, and revised by Michael Pilkington. 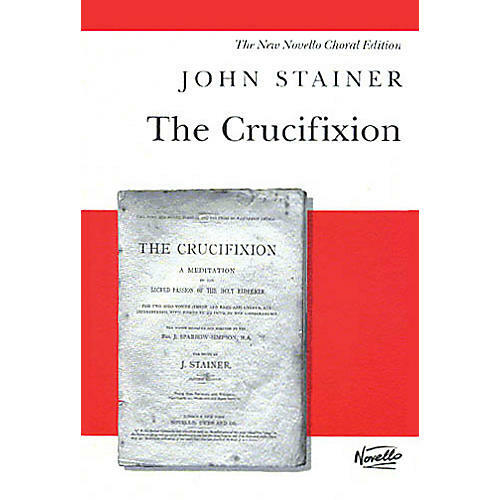 The Crucifixion was first performed in 1887. This Novello edition of the vocal score is clear and well presented, with thoroughly accurate and detailed editorial markings and suggestions, as edited by Michael Pilkington.